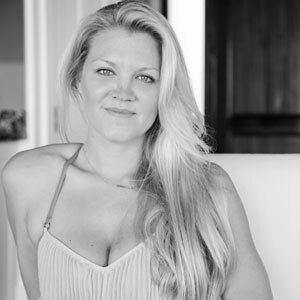 Cortney Ostrosky is an international yoga teacher, Craft Your Path founder, and Lululemon Ambassador based in Charleston, SC and is a proud a self-discovery coach, yoga teacher, human design reader and massage therapist. Most days you can find her waking up slow, playing fetch with my cockapoo, listening to podcasts, having epic dance parties in my bedroom and geeking out on anything in the realm of self discovery, yoga, spirituality, the healing arts, health and wellness, astrology, music, travel, etc.. Cortney finds her life’s passion in making a difference in the world and leaving this place a little better than she found it. Cortney leads yoga retreats across the globe, inspires over 20K people globally through her Instagram account, and has been featured on the cutting edge fitness platform Cody App. Cortney has over 1000 hours of training in yoga and a background in the healing arts which provide her with inspiration and vast knowledge to create powerful classes and retreat experiences.